With a population of 1.3 billion and an emerging economy, India is often touted as “the next big market” for a myriad of industries. For instance, in 2018, the Data Security Council of India (DCSI) published a report charting the rise of cybersecurity and India’s influence on the market. In addition to the government pushing for the industry’s products and services achieving a value of $35 billion by 2025, the report identified areas where India could lead the way, dubbed “five key pillars”. DCSI analysis suggests that India’s resources, expertise and economy give it the power to become a global cybersecurity hub for “technology creation, demand generation” and more. In fact, with the sector thriving, Trishneet Arora found himself ranked among Forbes’ 30 Under 30 Asia list. At just 25 years old, India’s Arora was the man behind cybersecurity firm TAC Security. Now an international player, TAC Security is a prime example of how India’s market dynamics offer a perfect starting point for entrepreneurs. One industry that’s moved to take advantage of this in recent years is poker. Thanks to changing regulations and a desire to innovate, Indian companies are now partnering with online poker developers to create a nationwide network of sites. For the best part of a decade, India has been described as a sleeping giant by online poker insiders. As well as a burgeoning population, the game itself actually has a long history within the country. Although the French game “pogue” is often cited as the precursor for modern poker, historians have also traced the game’s roots back to an Indian invention known as ganjifa. Noted by Edward Terry in the 16th century but likely older than that, ganjifa featured round or rectangular hand-painted cards. Of the forms of ganjifa played, Naqsh is most commonly linked to poker because of its gambling roots. Played with 48 cards, the game formed an integral part of Diwali. Indeed, it’s believed that Goddess Parvati played dice with her husband Lord Shiva on Diwali. Such was her love for the game, that she decreed that anyone who gambles on Diwali night would prosper. This tradition has remained in place ever since and, today, poker is the main game for those that want to increase their chances of eternal prosperity. In 2017, this tradition gave the online poker industry a timely boost. With the country’s fledging sites jostling for position, reports of traffic spikes came through between October 18 and 19. With a number of platforms witnessing double the amount of activity than they usually attract, the industry ended the year on a high. Indeed, as well as the leading online sites seeing traffic improve towards the close of 2017, the industry as a whole started to gain more legitimacy. In December 2017, the Poker Sports League signed chess professional Viswanathan Anand. Known as India’s best ever player, grandmaster Anand was drafted in to act as a spokesperson for the poker company. Beyond its mission to offer poker players a high-profile tournament series, the Poker Sports League is working to highlight the skill-based aspects of poker. By using a point format where consistent results are valued over one-off wins, the league has endeavoured to find the best players in India. To push this angle and prove that poker is inherently different from games such as blackjack or roulette, Anand was drafted in. Himself an aspiring player, the chess expert was quick to see the similarities between the two games. “I have played chess all my life and when I was introduced to poker, I could instantly draw the parallels, which made me connect better with the game,” Anand explained in a December 7, 2017 press release. As the popularity of poker in India has increased, local businesses have been drawn into the action. Sachar Gaming Pvt Ltd, the company behind Khelplay, was one of the first to enter the online space, but it’s certainly not been the last. With states in charge of their own laws, regions such as Nagaland have been instrumental in the development of online poker within India. Unlike international markets that have allowed outside operators to provide gaming options to local residents, India’s economy has evolved in a different way. In simple terms, anyone that wants to offer online poker in a regulated region has to be located within India. Moreover, they have to partner with a local business. The end result is an industry that’s rooted in India and, therefore, positioned to provide a net benefit to the economy. Moreover, by insisting that companies have local connections, regulators have ensured that players get a service they really want. Since its inception in the late nineties, the online poker industry has evolved massively. In fact, the reason it now forms a major part of the $51 billion iGaming industry is because it’s changed with the times. Around the world, every major poker site will offer an array of traditional poker variants. From No Limit Texas Hold’em to Pot Limit Omaha, players can access a varied selection of free and real money games via their desktops and mobiles. However, to ensure modern audiences remain engaged, developers have had to embrace new ideas. 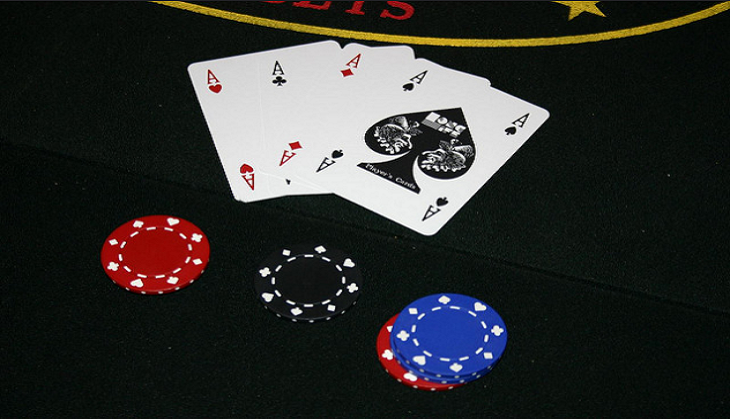 In recent years, fast-fold poker formats have become popular. As internet users have demanded greater speed and efficiency, poker brands have worked to create a format that offers a high-octane dynamic. Today, SNAP poker moves players from table-to-table each time the fold a hand. The end result is a much faster experience that ties in perfectly with the preferences of the modern player. This approach to gaming is something those involved in India’s poker market are looking to emulate. By partnering local businesses with poker startups, the aim is to create an ecosystem that works with the country’s wants and desires. Instead of forcing players to accept the trends developed by the market at large, India’s online poker industry is evolving more as a close-knit community. To this end, the market is already worth an estimated $120 million and counting. According to the experts, investment from Indian software and tech companies, combined with this “homegrown” ethos has piqued the interests of players. Although regional regulation is taking place at varying rates across India, the feeling is that the market has a lot more potential to grow. As Alok Mittal, a founding member of the Indian Angel Network, has said, the industry is now attracting interest from “venture capital and angel investors”. As money pours in and traffic at the leading sites starts to increase, there’s every chance the industry could experience a boom in the coming years. As we’ve said, India is often seen as “the next big market” for businesses and the rise of online poker could be another example of why this is true. Through a combination of history, customers, investment and local links, the country is now starting to enjoy a new pastime. Whether or not the market can rival those seen in the UK and Europe remains to be seen. However, what’s clear is that poker in India has emerged as viable business opportunity for entrepreneurs and that could result in some interesting developments over the next few years.